The acclaimed musician told Classic Rock magazine he "can still play" but added it was "hard work". "I've had quite a lot of pain over the last year. It started with lower back pain, and turned into what they call peripheral neuropathy. "[It's] hard work to play the guitar and I've had to come to terms with the fact that it will not improve." But he added that given his life had been fraught with addiction "I consider it a great thing to be alive at all". "By rights I should have kicked the bucket a long time ago," said the 71-year-old star, who recently released his 23rd studio album, I Still Do. 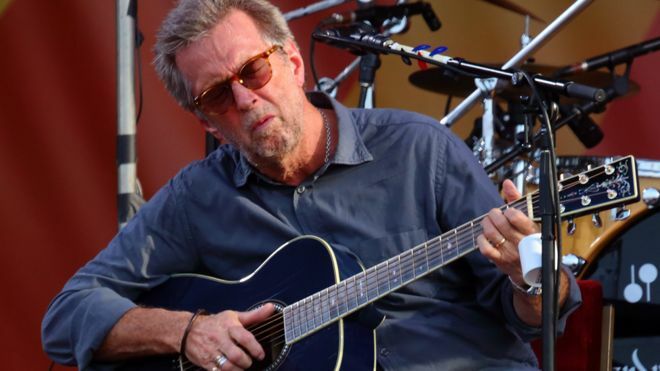 Clapton achieved global fame in the 1970s with acclaimed songs including Crossroads and Layla, but his widely-acknowledged talent was tainted by addiction, first to heroin and later to alcohol and prescription drugs. "I don't know how I survived - the Seventies especially," said Clapton. "For some reason I was plucked from the jaws of hell and given another chance."